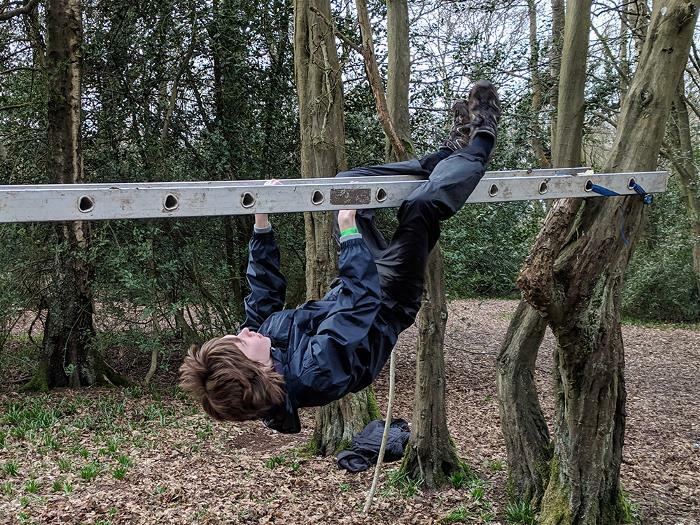 Chiltern Challenge is an Explorer Scout Competition run by Hertfordshire Scouts. Over a weekend in March, teams of five pit their wits against a series of challenges designed to show their skill, ingenuity, physical ability and team working. 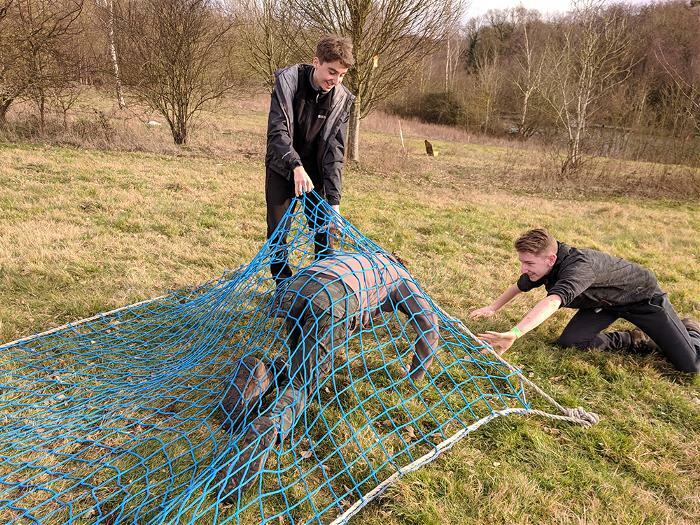 During the day, teams undertake the navigation challenge, physical assault course with added mud and a series of team challenges around Phasels Wood Scout Activity Centre. Once darkness falls, the competition continues in the countryside in deepest darkest Hertfordshire. Teams face the task of navigating to bases around a 20 km course, where further points can be gained on the night challenges. Chiltern Challenge has been running since 1978 and celebrated their 40th Anniversary event this year. Since then the event has flourished and now attracts entries from across the UK, including the team we sent from South Berkshire. What did the Explorers get up to? The main point of Chiltern challenge is to gain the maximum number of points over the weekend. Teams are scored from how they pitch their tents and keep their area tidy, to their team work, encouragement and communication skills, and finally the actual challenges themselves. We sent one team of 5 to the event competing against 22 other teams for the coveted Golden Boot trophy and £100 gift voucher. 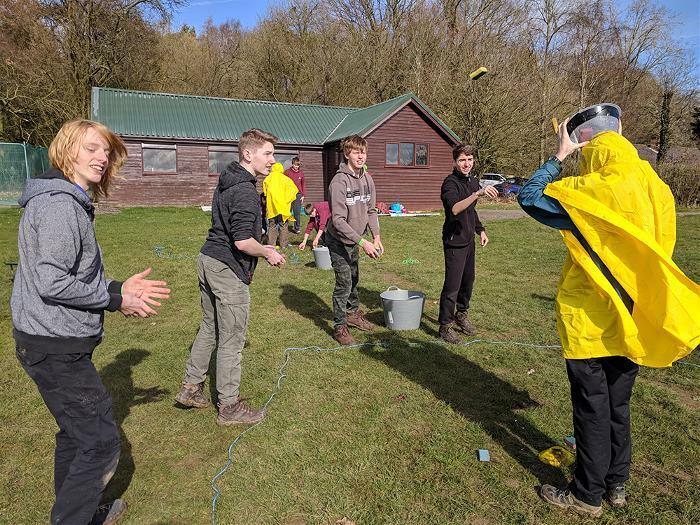 The weekend started bright and sunny, although a little chilly, and the team began by pitching camp and competing in the team challenges including collecting the most water using a holey pipe, communicating using semaphore, fastest puzzle completer and the number of wet sponges collected in a bowl hat! 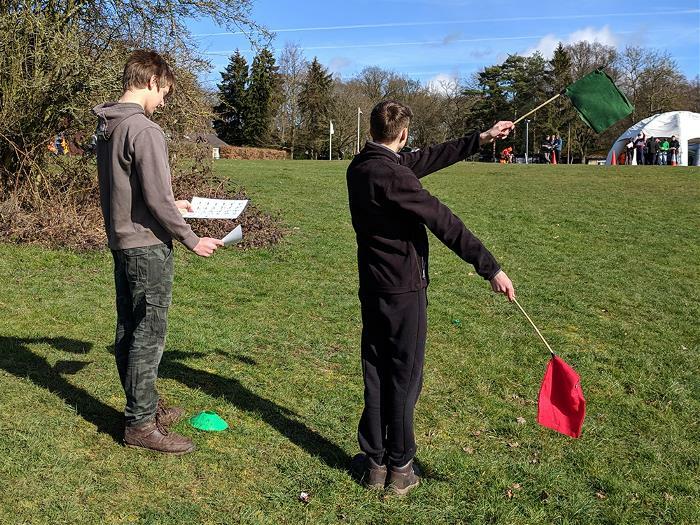 In the afternoon the team took part in a navigation skills challenge which involved not only orienteering but testing their map knowledge and compass skills. Then on to the physical obstacle course, comprising of crossing crocodile infested waters using the monkey bars aka. a ladder, racing through nets and mazes, climbing a curved wall and finally escaping through rope spiders webs. The team did excellently and by the end of the day had scored 327 points, putting them in 14th place on the leader board. A hearty dinner of pasta bolognaise, garlic bread and apple crumble with custard warmed us up just before the incident night hike started and so did the wind and rain. The route comprised of 20km round course with 8 checkpoints; extra points could be gained by collecting orienting clips on, and sometimes off, the route and taking part in team challenges at the bases. The South Berks leaders spent quite a cold evening in a field challenging the Explorers that passed through to build famous monuments from around the world using only their bodies, we had some very interesting Big Ben's, and Sydney Opera House's! Our Explorer team did well too managing to complete half the routing hitting 4 bases and collecting one clip (although they didn’t reach the Leaders base!) but managed to score 170 points and putting them in 9th place for the evening. With a fully cooked English breakfast on Sunday morning and a total of 497 points the South Berkshire team came in 11th place overall, which is excellent considering this was the first time for all of them. When asked would they be back next year the answer was "definitely" and they are determined to get in the top 10! The team went away with matching beanies and big smiles, well done all it was a brilliant weekend. Check out the Chiltern Challenge 2019 Gallery for more photos from the weekend. Would you like to compete in the Chiltern challenge next year? If you are a Scout aged over 13 (as part of a Leader led training team) or an Explorer you can enter as a team of 5. Next year’s event will be on the 7th-8th March 2020. Watch out for event details at the end of the year or drop us an email to southberksesu@gmail.com if you are interested.